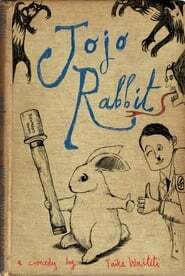 Jojo Rabbit is about a young boy living during World War II. His only escapism is through his imaginary friend, an ethnically inaccurate version of Adolf Hitler, who pushes the young boy's naive patriotic beliefs. However, this all changes when a young girl challenges those views and causes Jojo to face his own issues.